Minnesota State Route 253 is a short north-south highway in Southeastern Faribault County. 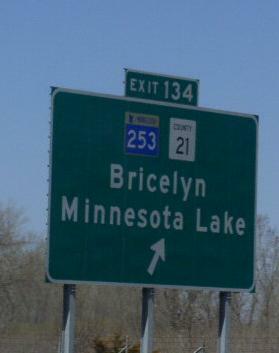 This runs from Interstate 90 to Bricelyn. 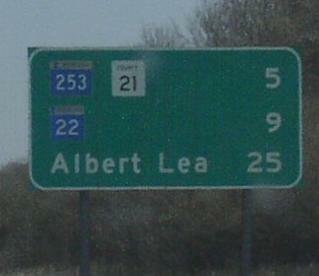 MN St Rt 253 passes through the following town in Faribault County. 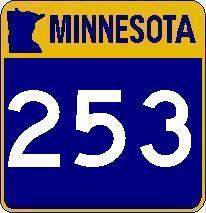 MN St Rt 253 is not multi-plexed in Faribault County. MN St Rt 253 intersects the following highway in Faribault County. Interstate 90, near Brush Creek.